Ton Koonen is a full professor at Eindhoven University of Technology since 2001, and chairman of the group Electro-Optical Communication Systems since 2004. Since Sep. 2012 he also is vice-dean of the department Electrical Engineering, appointed to overlook EE’s research activities. Before 2001, he worked for more than 20 years in applied research in industry, amongst others in Bell Laboratories - Lucent Technologies, and from 1991 to 2000 also as a part-time professor at Twente University. Ton Koonen is a Lucent Bell Labs Fellow (1998), IEEE Fellow (2007), and OSA Fellow (2013). He was an elected member of the IEEE Photonic Society Board of Governors from 2008 to 2010. 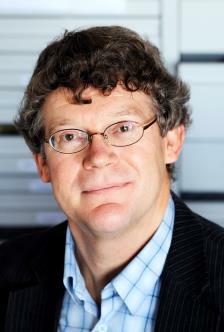 He is a 2011 recipient of an Advanced Investigator Grant of the European Research Council. Ton Koonen was and is involved in many European and Dutch research projects. He is a frequent project reviewer for the European Commission, member of several program boards, and fulfills several duties in the IEEE Photonics Society. He was a TPC member of several conferences, and general chairman of ECOC 2012. His current research interests are in access and in-building fiber network techniques, including multimode fiber networks and radio-over-fiber systems, in advanced optical multiplexing schemes (e.g. mode multiplexing), and in optical wireless communication. He has (co-)authored more than 650 papers on optical fiber communication, and holds 5 US patents (+1 pending), and 1 Dutch patent. copyright(c) IEICE. All rights reserved.